This most enlightening interview is worth listening every minute of it! 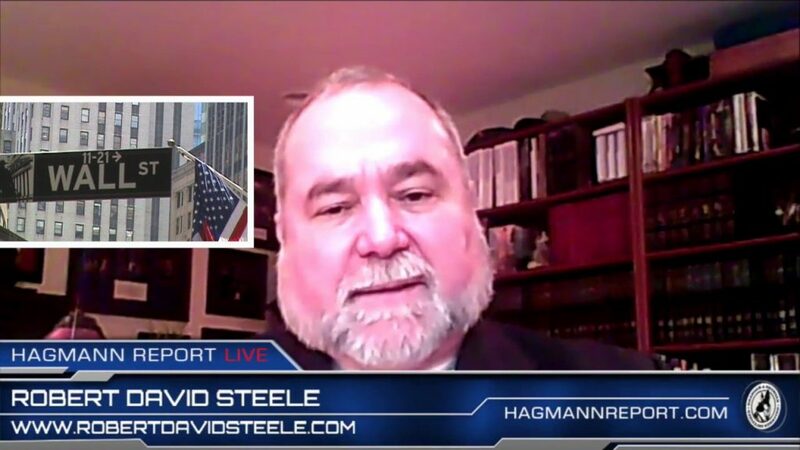 Former CIA clandestine services case officer Robert David Steele provides in-depth unique information about the true inner workings of the CIA, about what Donald Trump needs to do to restructure it, to survive his term and make the changes he desires – changes that will have a positive impact on America. Mr. Steele identities those who are in President Trump’s inner circle but do NOT have his best interests at heart. This information-packed and fascinating interview is loaded with critical information about how Trump won, what he needs to do forthwith to remain viable, and what the future might hold if he does not. US Intelligence Officer: Every single terrorist attack in US was a false flag attack! Ex-CIA Spy: A global open source revolution is about to begin! Mr. Steele’s interview with Alex Jones was super great. The part that worries me is that Steele’s advice to Trump is NOT getting to him. T needs to know, so how do we help ? Ok, this guy says “if Hillary had not been stopped she would have won the general as she won the primaries by stealing the primaries from Bernie Sanders” So who STOPPED HER? cover-ups and manipulation in politics of the US and its voting system. And who knows, maybe…. divine will has stopped her? I think the information you are looking for is in this Youtube video.. Thank you, Dane Arr, I had in mind to give info that was backed up, like in this video, this is a helpful response. Also to refresh my memory. I’ve seen this video. So much happens in such a short amount of time, wow! Unfortunately CIA has been the cause of many destructive situations no only in USA, but around the world. And I think now President Trump is very clear on this, and what he should do about it. Thank you! For once I’m without words lol. Apart from…. WOW! Wow. This is an amazing interview. Victory for the light!